In order to succeed in today’s multichannel world, retailers have to work hard to differentiate themselves from the competition. According to Gartner research, 89 per cent of marketing leaders expect customer experience to be their primary basis for competitive differentiation by 2017. Ecommerce websites often have to be redesigned, rescaled and replatformed for businesses to deliver a better customer experience, as legacy systems don’t offer the features and functionality that consumers have become accustomed to and expect. When your ecommerce project roadmap isn’t keeping up with your new, customer-focused ambitions it’s time to look for ways in which those aspirations can be realised. There are a number of platforms available on the market, so what are the key features and functionality they need to offer to deliver a market-leading customer experience? Personalisation used to be an ecommerce buzz word, and in its early days online businesses were limited to offering shoppers simple personalised product recommendations. However, these never converted unknown browsers into buyers. 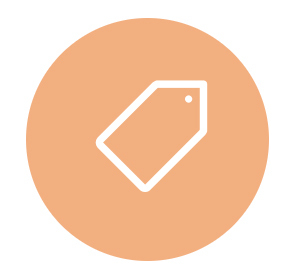 Only true personalisation can do that – where shoppers receive personalised and different sets of display banners, different promotions, exclusive (and again different) product ranges or VIP content. Shop Direct predicts that the “pace of innovation in how the online customer journey is personalised will accelerate in 2016.” The emphasis for many retailers is now on tailoring these journeys by eliminating irrelevant product recommendations and messages. Then what matters is focusing on staying touch with the customer after acquisition. ensures that customers are loyal to your brand and are checking-out with more in their baskets. A study by Marketing Tech News revealed 74 per cent of consumers say that personalised promotions would persuade them to buy relevant goods and services they hadn’t previously purchased. More sophisticated ecommerce platforms have the capability to personalise a user’s experience in real-time. It’s important for retailers who have physical premises to cater for bricks and mortar as well as digital. Where you might see multiple channels and separate units that need their own management and growth plans, your customer just sees one. Channel agnostic shopping is blurring the line between offline and online. Your channels must join up to promote a seamless customer experience. For example, when a representative of your brand engages with a customer, they’ll know what the customer would like without being explicitly informed by looking at their account – all activity will be tracked. Enterprise grade ecommerce platforms will cater for this – as opposed to paying a systems integrator to create this as a bespoke piece of development. Beacon technology is becoming more popular with retailers. It is imperative that communication is completely personalised – otherwise it could be treated as spam. 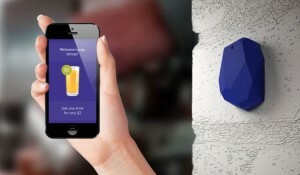 The use of beacons is still in its infancy, even though it has been talked about for the last few years, and we will see the use of this technology take-off in the next 12 months – mainly in part due to retailers changing their platforms to support the capability and make the art of the possible into reality. Having a single customer view creates more accurate cross-selling opportunities because you’ll have relevant, and synced, customer information – so you can make those personalised product recommendations (as detailed above) across multiple touch points. You can also reduce any negative experiences customers may have along their purchasing journey. For example, if they add something to their basket online on one device but don’t check-out, when they next visit your site the item will show in the basket, across any device. Ultimately, at a time when customer service is everything, the single customer view improves customer service levels, customer retention and conversion rates. Poor data quality – third-party lacks the recency, accuracy and context that first-party data can provide. Lack of relevant technology – leverage technology that can deal with data that is high in volume, velocity and variety. Siloed data – identify providers who can respond to customers and engage with them as individuals. One of the biggest debates in ecommerce is whether websites should be developed in responsive or adaptive design. When 34 er cent of consumers shop over three channels (shop.org), it’s important to choose wisely. Responsive design needs to work at absolutely all screen resolutions and sizes. Requires less work to maintain, but doesn’t offer the same element of site control. If not properly implemented, responsive sites can suffer when it comes to load speed. Responsive shifts content around to provide the best fit – so take care of your visual hierarchy to ensure important messages are not lost. Delivers a pure “device only” journey that is not constrained having to support a “best of all worlds” approach. Requires the continued maintenance of separate HTML and CSS coding to ensure each device layout is catered for. Useful for refitting an existing site to make it more mobile friendly – giving you more control over specific viewpoints. Useful when organising how content should appear over set screen sizes. When debating over responsive or adaptive capabilities it’ll come down to how much you invest in channel specific customer engagement. You’ll need to understand how customers want to shop and what devices they tend to access your site on. Factors like content, site layout and so forth will become a lot easier to determine. Between 2014 – 2015 ecommerce referrals from social media sites increased by 200 per cent. Long gone are the days where likes and shares were the extent of what businesses assumed to be a good social media strategy; ecommerce platforms now have to support social checkouts as well as aid the purchasing journey. Platforms like Pinterest, Instagram and Twitter have become important resources for the connected shopper where user generated content has become champion. Retailers need to ensure a positive social shopping experience that increases this efficacy. Social data aggregation is everything. You’ll need to be able to track customer and transactional data that exists both online and offline (ie. apps used in-store) and then offer intelligent communication with customers in way of seamless, real-time and relevant engagement. Looking forward, the social commerce experience will only become more integrated. At the moment, social platforms funnel customers over to your website to shop or make further purchases. Next should be the ability to make the actual purchases on the social network. Smartphones, tablets, connected TV, app stores and social are just some of today’s customer touch points – we don’t know what others will be coming. These channels have propelled service orientated architecture to the forefront of ecommerce. We’re now looking at full-featured shopping APIs that can distribute ecommerce functionality across channels, making it easier to plug new ones in. Having a platform that allows you to access core commerce services will give retailers the opportunity to expand on features and functionality without a major headache when it comes to future support and upgrades. Trying to advance your ambitious growth plans with legacy systems can often be expensive, painful and ultimately never achieve your desired results, therefore it’s not surprising that according to research conducted last year 53 per cent of retail business technology executives expect to implement a unified commerce platform in the next few years. If you’re serious about improving your ecommerce offering then you’ll want to consider functionality that will deliver a personalised, seamless brand experience across digital and physical commerce touch points as well as boost your revenue. Only a handful of platform providers offer the rich features customers expect of current commerce solutions, and also have a roadmap to continue developing market-leading features that match the future trends of the industry. Investing in a unified commerce platform now will keep you at the forefront of ecommerce and ahead of your competitors, without the headache of redesigns and large customer investments further down the line.